Lazy Acres Natural Market opened last week in Hermosa Beach with throngs of customers drawn to its organic produce and a large selection of prepared foods. 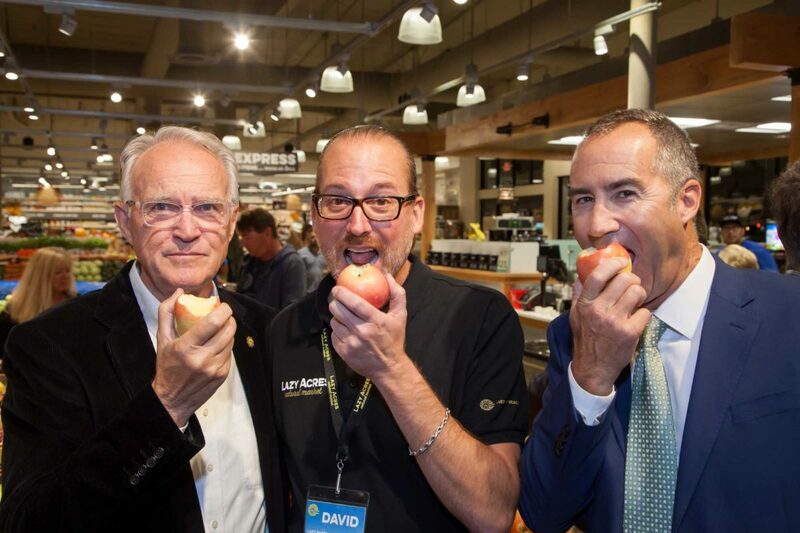 The store held a fundraiser Wednesday evening benefitting local schools, where city council members bit into apples instead of cutting a ribbon to commemorate the occasion. The grand opening was Saturday morning and, that evening, big-wave surfer Laird Hamilton joined Hermosa residents John and Michele O’Conor, the winners of a contest sponsored by the store, for a five-course dinner at a home on The Strand. The meal included Laird Superfood, a line of natural food products that embody the approach to nutrition that the extreme sports superstar credits with his longevity and performance. Joe Ragusa, senior director of marketing and merchandising for Lazy Acres, said that Laird Superfoods was an immediate hit at the Hermosa Beach store. “One of the first customers in the store Saturday was a guy there right at 7 a.m., asking for Laird’s coffee,” he recalled with a laugh. Paul Hodge, CEO of Laird Superfood, said that the company was tapping into the rapidly growing natural food market and that Lazy Acres was an ideal venue to reach health-minded customers. Hodge said Saturday that having a known personality at its center gave the brand a boost, but it also meant that Hamilton, who is on the board of directors, was constantly checking on product quality. Back at the store, customers less inclined to tackle mountainous waves were focused on dinner. Heidi Thompson, a Manhattan Beach resident, exited Lazy Acres pushing a cart with one arm in a cast. The injury made making dinner harder, she said, and she had grabbed some chicken tikka masala and cauliflower for her family.